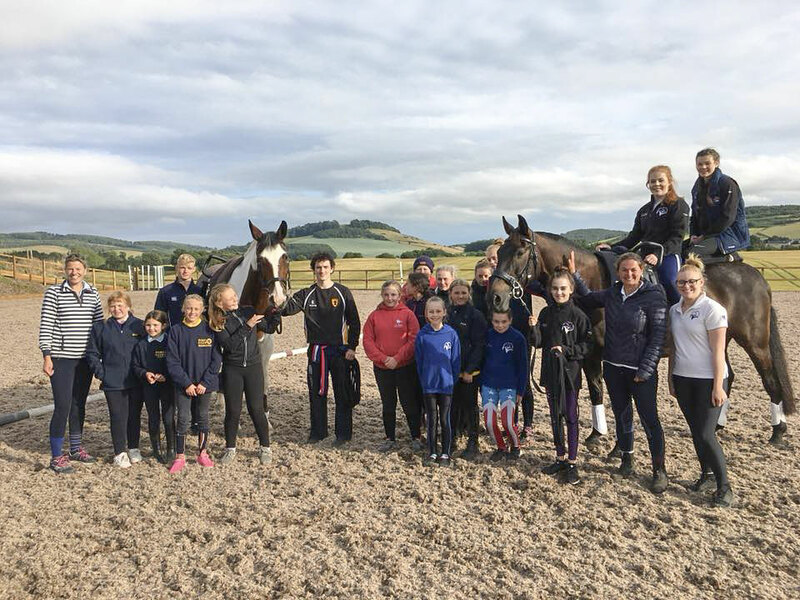 Pre-Novice Squad: 2nd Catrina Mackie, Beth Robertson, Tabitha Peck, Lana McDougall, Isla Kinns-Brown and Rosalie Peck on Dazzling Edition, lunged by Janice Henderson. 2* Senior Female Individual : 3rd Molly Turner, 4th Hannah Ballantyne on Superdelux, lunged by Lynn Ballantyne. 5th Kirstin Henderson on Galaxy VS, lunged by Janice Henderson. 1* Senior Female Individual : 2nd Heidi Ballantyne on Superdelux, lunged by Lynn Ballantyne. 2* Junior Male Individual : 1st Atholl Pettinger, 3rd Jack Wilson on Rum n' Coke, lunged by Liz Mackay. 1* Junior Female Individual : 2nd Sophie Wilson on Ulisco de Montsec, lunged by Liz Mackay. 1* Child Female Individual : 12th Iona Robertson on Ulisco de Montsec, lunged by Liz Mackay. Senior Pas de Deux : 1st Atholl Pettinger and Kirstin Henderson on Rum n' Coke, lunged by Liz Mackay. 2nd Hannah Ballantyne and Molly Turner on Superdelux, lunged by Lynn Balllantyne. Novice Individual : 2nd Zoe McColl on Ulisco de Montsec, lunged by Liz Mackay. 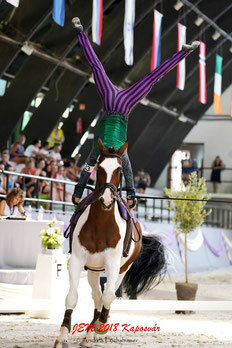 4th Tabitha Peck, 5th Beth Robertson, 7th Lana MacDougall, 8th Catrina Mackie on Dazzling Edition, lunged by Liz Mackay. Prenovice Individual (a): 3rd Isla Kinns Brown, 12th Rosalie Peck on Dazzling Edition, lunged by Janice Henderson. 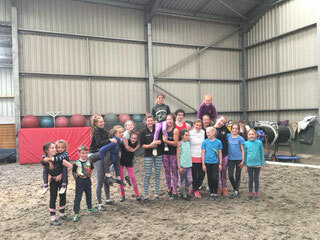 Celine Michel paid us a very brief visit and held a clinic for our younger vaulters. 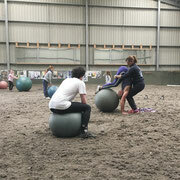 Thirteen attended and had lots of fun with new games for fitness, lots of barrel training and practice on Darcy. Thanks to Lesley Campbell for assisting and to Adele for lungeing. This was very popular and we would really like Celine to come again. 2* Senior Female Individual: 2nd Molly Turner, 3rd Hannah Ballantyne on Superdelux, lunged by Lynn Ballantyne. 4th Kirstin Henderson on Galaxy VS, lunged by Janice Henderson. 5th Hannah Ballantyne on Harlequin Gold, lunged by Lynn Ballantyne. 1* Senior Female Individual : 1st Yazmin Williamson on Rum n' Coke, lunged by Liz Mackay. 2nd Heidi Ballantyne on Superdelux, lunged by Lynn Ballantyne. 4th Yazmin Williamson on Caudillo Domino, lunged by Lesley Campbell. 5th Heidi Ballantyne on Harlequin, lunged by Lynn Ballantyne. 2* Junior Female Individual : 10th Rachel Leslie on Dazzling Edition, lunged by Janice Henderson. 2* Junior Male Individual: 1st Atholl Pettinger, 2nd Jack Wilson on Rum n' Coke, lunged by Liz Mackay. 1* Junior Female Individual : 1st Sophie Wilson on Ulisco de Montsec, lunged by Liz Mackay. 1* Child Female Individual : 8th Iona Robertson on Ulisco de Montsec, lunged by Liz Mackay. 9th Iona Robertson on Dazzling Edition, lunged by Janice Henderson. 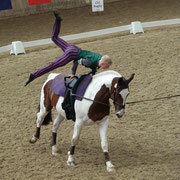 Senior Pas de Deux: 1st Atholl Pettinger and Kirstin Henderson on Rum n' Coke, lunged by Liz Mackay. 2nd Hannah Ballantyne and Molly Turner on Superdelux, lunged by Lynn Ballantyne. Novice Individual: 1st Zoe McColl, 4th Beth Robertson, 6th Tabitha Peck, 10th Catrina Mackie on Dazzling Edition, lunged by Janice Henderson. 7th Zoe McColl on Ulisco de Montsec, lunged by Liz Mackay. 8th Tabitha Peck, 11th Lana McDougall on Toby, lunged by Lynn Ballantyne. Prenovice Individual Canter/Walk (a): 2nd Isla Kinns Brown on Toby, lunged by Carole Pow. Prenovice Individual Canter/Walk (b): 5th Hazel Wilson on Toby, lunged by Carole Pow. Prenovice Individual Walk/Walk (a): 2nd Samuel Wilson on Toby, lunged by Adele Gibson. 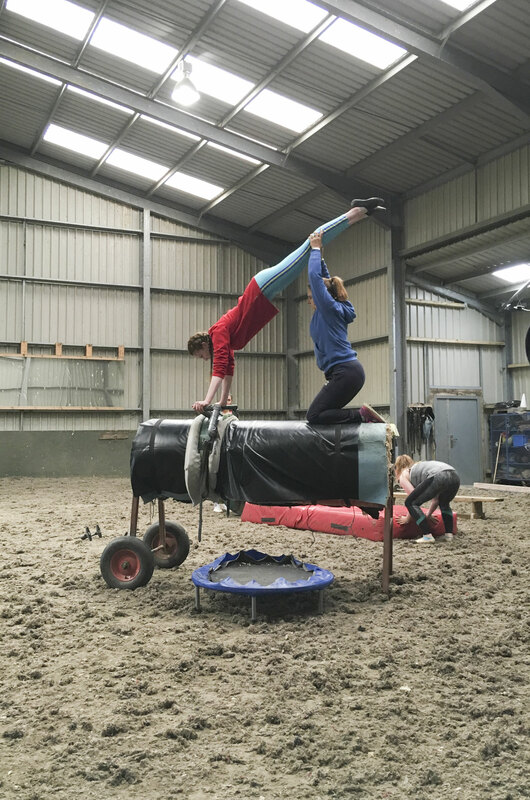 Walk Pas de Deux(open): 2nd Iona Robertson and Zoe McColl on Rum n' Coke, lunged by Liz Mackay. Walk Pas de Deux(novice): 5th Isla Kinns Brown and Lana McDougall, 7th Beth Robertson and Catrina Mackie on Toby, lunged by Adele Gibson. Walk Squad(open): 2nd Kinross on Rum n' Coke, lunged by Janice Henderson. Our annual summer camp was very well attended this year. 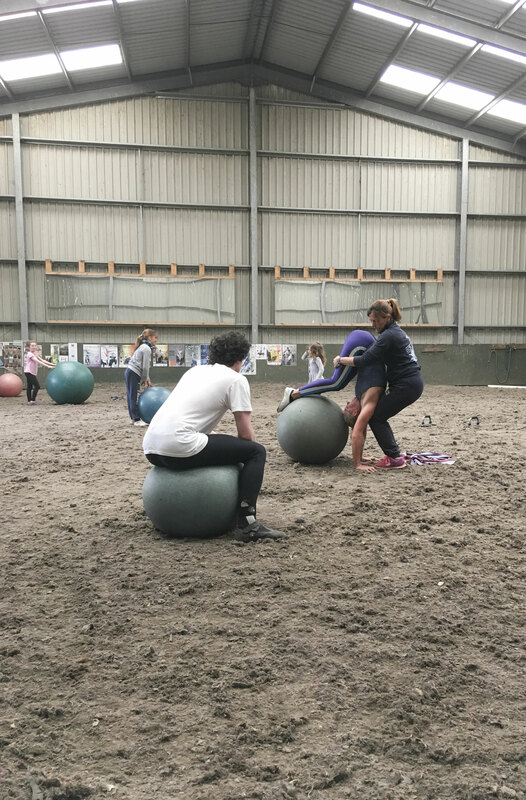 We managed to secure two days of top level coaching from Michela Callegari, one of Italy's most senior vaulting experts. 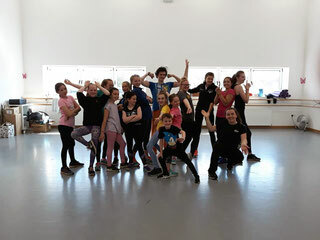 After a fun, high energy dance workshop at Dance Connect in Kinross, the vaulters spent the rest of camp under the scrutiny of Michela, who shared her extensive knowledge with everyone from our grass roots child members to our elite senior vaulters. Drawing influences from multiple disciplines from ballet to pilates, gymnastics to athletics. 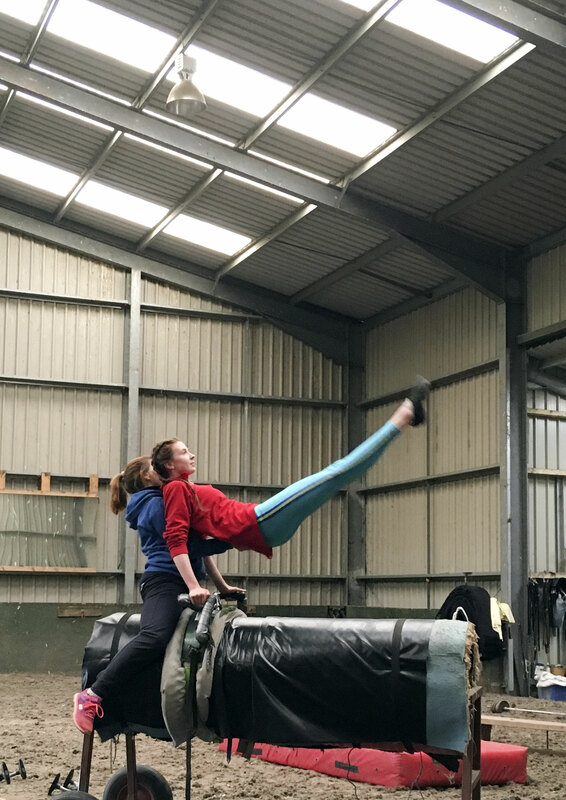 Michela worked everyone hard both physically and mentally, reminding us of what an all-encompassing sport equestrian vaulting really is. Atholl Pettinger and Jack Wilson were selected to represent Great Britain at the Junior European Championships in Kaposvar, Hungary on 1st - 5th August. Rambo (Rum N' Coke) travelled out alone in Liz's lorry on his first ever overseas trip, with stabling stops in Dover, Frankfurt, Vienna and so to the competition venue. Drivers and navigators were Liz, Stuart Morrison, Karen Gardiner and Atholl Pettinger. The journey went well and Rambo was a star. Despite some challenging sweltering weather and particularly viscious flies, both Atholl and Jack performed very well. Rambo coped incredibly well with the noise and atmosphere that comes with competing at such a major international competition. Atholl got through to the final and finished 11th in Europe, and Jack just missed out on going through to the final finishing a commendable 16th. Another great adventure for KVG team and many new tales to tell. Glenrothes Pony Club invited us to do a demo at their camp at Lindores. 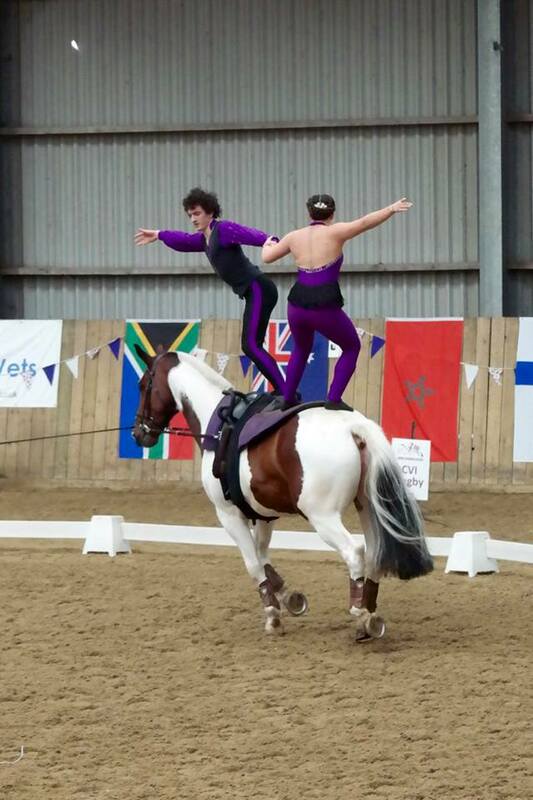 Darcy and Rambo were the superstars we took to demonstrate the sport and give the Pony Club members a taste of vaulting by having a go. Thanks to the coaches and vaulters who attended. Child Female Individual: 7th Sophie Wilson, 8th Iona Robertson on Ulisco de Montsec, lunged by Liz Mackay. Junior Female Individual: 5th Emily Bradford(Hardie) on Ulisco de Montsec, lunged by Liz Mackay. Senior Female Individual: 2nd Kirstin Henderson on Rum n' Coke, lunged by Liz Mackay. 5th Heidi Ballantyne on Ulisco de Montsec, lunged by Liz Mackay. Child Female Individual: 3rd Sophie Wilson on Ulisco de Montsec, lunged by Liz Mackay. Junior Male Individual: 1st Atholl Pettinger, 3rd Jack Wilson on Rum n' Coke, lunged by Liz Mackay. Senior Female Individual: 2nd Hannah Ballantyne, 3rd Molly Turner on Mahon Vale, lunged by Anna-Marie Macpherson. 5th Kirstin Henderson on Rum n' Coke, lunged by Liz Mackay. 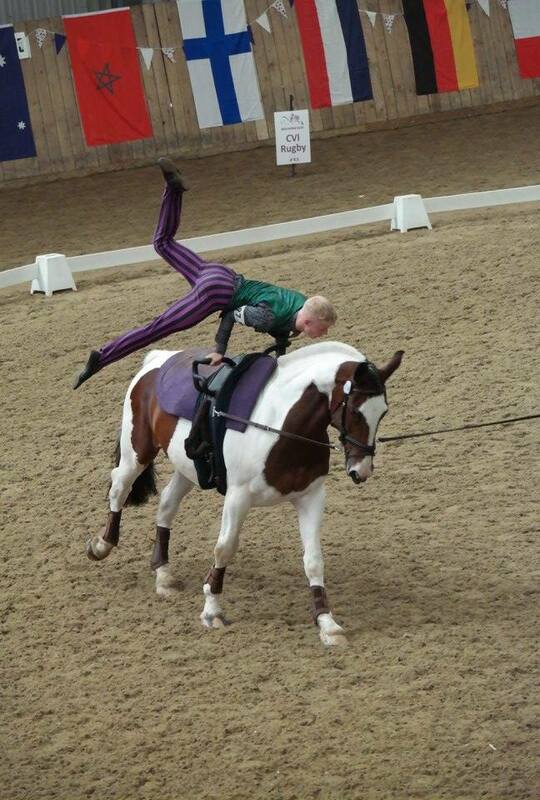 Senior Pas de Deux: 2nd Atholl Pettinger and Kirstin Henderson on Rum n' Coke, lunged by Liz Mackay. 3rd Hannah Ballantyne and Molly Turner on Jays Fortitude, lunged by Rebecca Hewit. 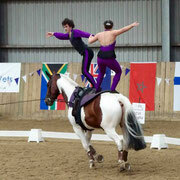 Kinross welcomed vaulters from Pegasus to a training clinic with Miki Callegari. 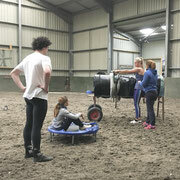 A total of 20 vaulter benefited from her enthusiasm and expertise. We are hoping she will return in the near future. 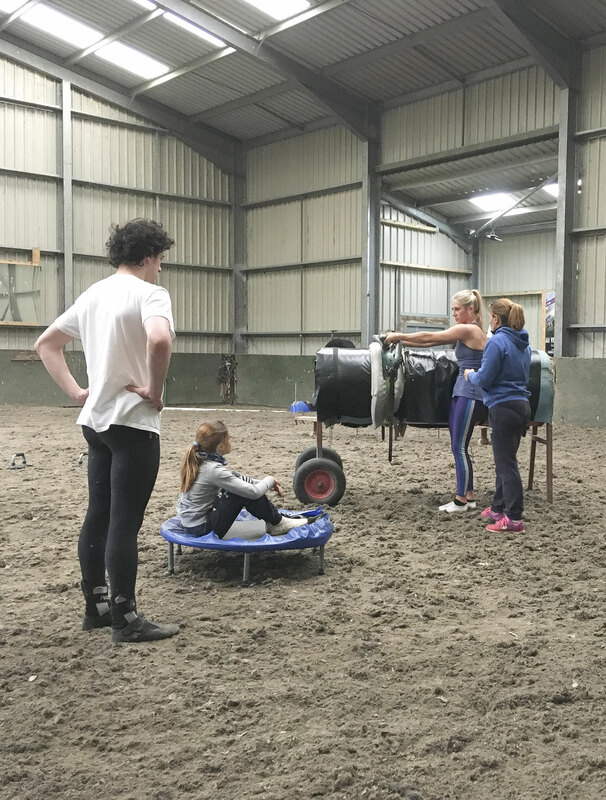 Thanks also to the energy and input of Sole, Miki's Daughter who was a fantastic example to our vaulters regarding fitness and flexibility. 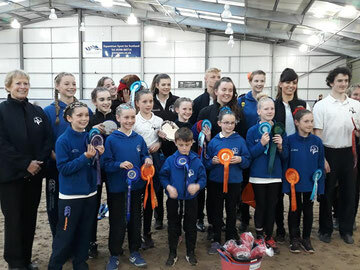 Pre-Novice Squad: 2nd Iona Robertson, Catrina Mackie, Zoe McColl, Beth Robertson, Tabitha Peck and Lana McDougall on Dazzling Edition, lunged by Janice Henderson. 2* Senior Female Individual : 2nd Hannah Ballantyne on ILPH Islay, lunged by Lynn Ballantyne. 3rd Kirstin Henderson on Galaxy VS, lunged by Janice Henderson. 4th Hannah Ballantyne on Superdelux, lunged by Lynn Ballantyne. 1* Senior Female Individual : 1st Heidi Ballantyne on Superdelux, lunged by Lynn Ballantyne. 3rd Louise Scott on Dazzling Edition, lunged by Janice Henderson. 5th Heidi Ballantyne on Harlequin Gold, lunged by Lynn Ballantyne. 2* Junior Female Individual: 5th Rachel Leslie on Dazzling Edition, lunged by Janice Henderson. 2* Junior Male Individual: 1st Atholl Pettinger on Rum n' Coke, lunged by Liz Mackay. 1* Junior Female Individual : 2nd Emily Hardie on Dazzling Edition, lunged by Janice Henderson..
3rd Emily Hardie, 5th Sophie Wilson on Ulisco de Montsec, lunged by Liz Mackay. 1* Child Female Individual : 2nd Iona Robertson on Ulisco de Montsec, lunged by Liz Mackay. 3rd Iona Robertson on Dazzling Edition, lunged by Janice Henderson. 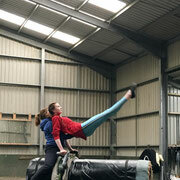 Senior Pas de Deux: 1st Hannah Ballantyne and Molly Turner on ILPH Islay, lunged by Lynn Balllantyne. 2nd Atholl Pettinger and Kirstin Henderson on Rum n' Coke, lunged by Liz Mackay. Novice Individual: 1st Zoe McColl, 3rd Catrina Mackie on Ulisco de Montsec, lunged by Liz Mackay. 2nd Zoe McColl on Dazzling Edition, lunged by Janice Henderson. 5th Beth Robertson, 8th Tabitha Peck, 10th Lana McDougall on Toby, lunged by Liz Mackay. Prenovice Individual Canter/Walk (a): 1st Isla Kinns Brown on Toby, lunged by Liz Mackay. Prenovice Individual Walk/Walk (a): 1st Rosalie Peck on Toby, lunged by Adele Gibson. 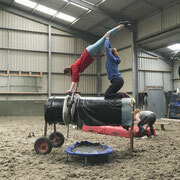 Walk Pas de Deux (open): 1st Iona Robertson and Zoe McColl on Rum n' Coke, lunged by Liz Mackay. 4th Iona Robertson and Zoe McColl on Caudillo Domino, lunged by Lesley Campbell. Walk Pas de Deux(novice): 1st Isla Kinns Brown and Lana McDougall, 2nd Tabitha and Rosalie Peck on Toby, lunged by Adele Gibson. 2* Senior Female Individual : 3rd Kirstin Henderson on Galaxy VS, lunged by Janice Henderson. 1* Child Female Individual : 3rd Iona Robertson on Ulisco de Montsec, lunged by Liz Mackay. Novice Individual: 6th Zoe McColl on Ulisco de Montsec, lunged by Liz Mackay. Walk Pas de Deux: 2nd Iona Robertson and Zoe McColl on Ulisco de Montsec, lunged by Liz Mackay. 2* Senior Female Individual : 2nd Molly Turner on ILPH Islay, lunged by Lynn Ballantyne. 3rd Hannah Ballantyne on ILPH Islay, lunged by Lynn Ballantyne. 4th Heidi Ballantyne on Superdelux, lunged by Lynn Ballantyne. 1* Junior Female Individual : 4th Sophie Wilson, 9th Emily Hardie on Ulisco de Montsec, lunged by Liz Mackay. 5th Sophie Wilson, 6th Emily Hardie on Dazzling Edition, lunged by Janice Henderson. 1* Child Female Individual : 7th Iona Robertson, 11th Beth Casasola on Ulisco de Montsec, lunged by Liz Mackay. 8th Iona Robertson, 9th Beth Casasola on Dazzling Edition, lunged by Janice Henderson. Novice Individual: 1st Zoe McColl, 4th Lucy Brown on Dazzling Edition, lunged by Janice Henderson. 6th Lana McDougall, 7th Tabitha Peck on Toby, lunged by Liz Mackay. 8th Catrina Mackie, 9th Zoe McColl, 10th Lana McDougall on Ulisco de Montsec, lunged by Liz Mackay. Prenovice Individual Walk/Walk (a): 1st Rosalie Peck, 2nd Isla Kinns Brown on Toby, lunged by Adele Gibson. 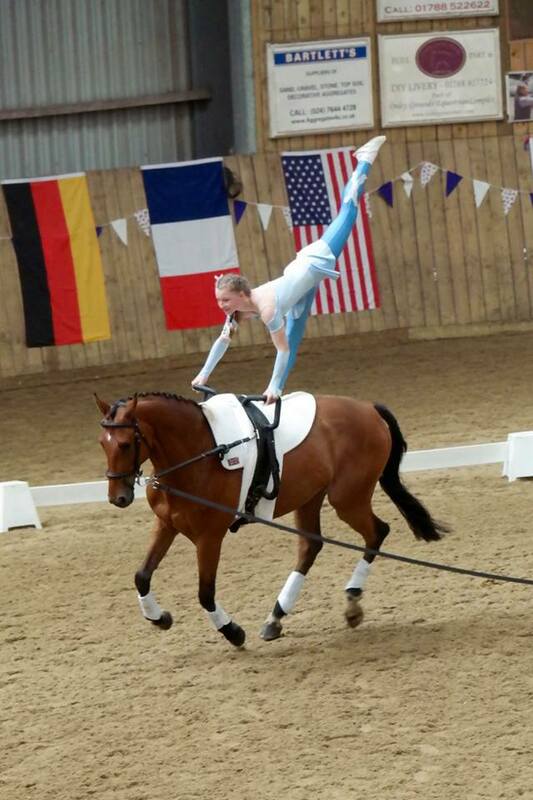 Walk Pas de Deux (a): 5th Iona Robertson and Zoe McColl on Ulisco de Montsec, lunged by Liz Mackay. Walk Pas de Deux(b): 2nd Isla Kinns Brown and Lana McDougall on Toby, lunged by Adele Gibson. 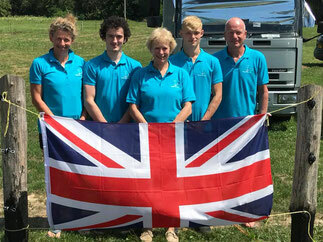 Jack and Sophie Wilson travelled out with their family and coach Liz to compete at CVI Saumur. They competed on Becca Hewit's horse Houston, lunged by Stacey MacPherson. 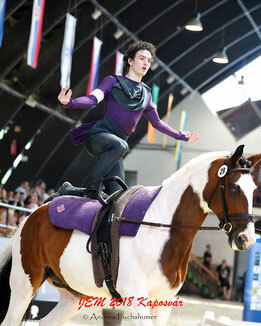 Jack competed in the Junior Male 2* class and came 5th. Sophie competed as both a Child Female 1* and Child Female 2* came 6th and 5th respectively. 5th Hannah Ballantyne on Superdelux, lunged by Lynn Ballantyne. 6th Molly Turner on Bravour, lunged by Liz Mackay. 7th Heidi Ballantyne on Superdelux, lunged by Lynn Ballantyne. 1* Senior Female Individual : 1st Yazmin Williamson on Bravour, lunged by Liz Mackay. 2* Junior Female Individual : 8th Catriona Marden on Dazzling Editon, lunged by Lynn Ballantyne. 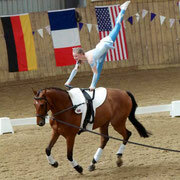 11th Catriona Marden on Ulisco de Montsec, lunged by Liz Mackay. 1* Junior Female Individual : 3rd Sophie Wilson on Ulisco de Montsec, lunged by Liz Mackay. 4th Sophie Wilson, 6th Emily Hardie on Dazzling Edition, lunged by Liz Mackay. 1* Child Female Individual : 5th Beth Casasola on Ulisco de Montsec, lunged by Liz Mackay. 6th Beth Casasola on Dazzling Edition, lunged by Lynn Ballantyne. 3* Senior Pas de Deux: 1st Hannah Ballantyne and Molly Turner on ILPH Islay, lunged by Lynn Balllantyne. 1 * Pas de Deux: 1st Atholl Pettinger and Kirstin Henderson on Rum n' Coke, lunged by Liz Mackay. Pre-Novice Squad: 2nd Iona Robertson, Catrina Mackie, Zoe McColl, Beth Robertson, Tabitha Peck and Lana McDougall on Dazzling Edition, lunged by Lynn Ballantyne. Novice Individual: 1st Zoe McColl, 3rd Iona Robertson on Dazzling Edition, lunged by Lynn Ballantyne. 2nd Tabitha Peck, 12th Catrina Mackie, 14th Beth Robertson, 15th Lana McDougall on Toby, lunged by Liz Mackay. 7th Iona Robertson, 8th Beth Robertson, 9th Catrina Mackie, 13th Zoe McColl, 17th Lana McDougall on Ulisco de Montsec, lunged by Liz Mackay. Prenovice Individual Canter/Walk (b): 3rd Hazel Wilson on Toby, lunged by Liz Mackay. Prenovice Individual Walk/Walk (a): 2nd Rosalie Peck on Toby, lunged by Janice Henderson. The competition took place at Shieldbank. Hazel Wilson represented our Club and came 3rd.